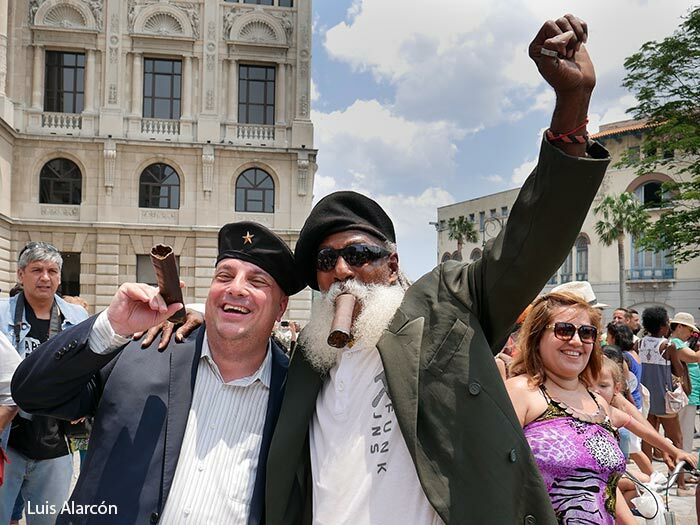 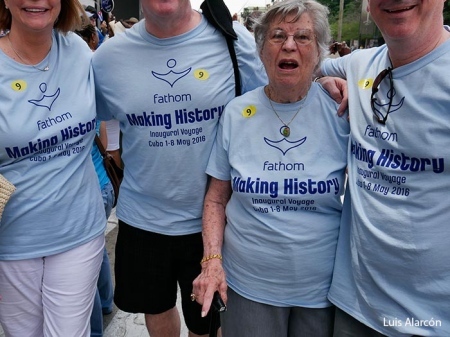 Making history (first American cruise in Cuba). 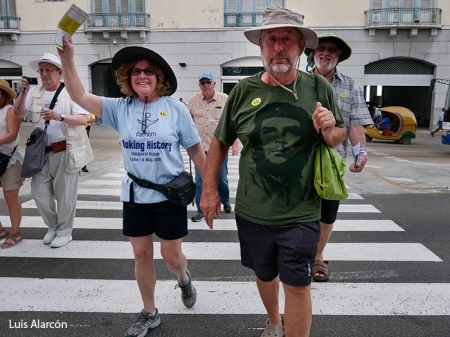 On May 1 the Adonia cruise from Carnival company (the largest cruise company in the world), departed from Miami with around 700 mainly American travelers that were making history as it was over 50 years something like this took place. 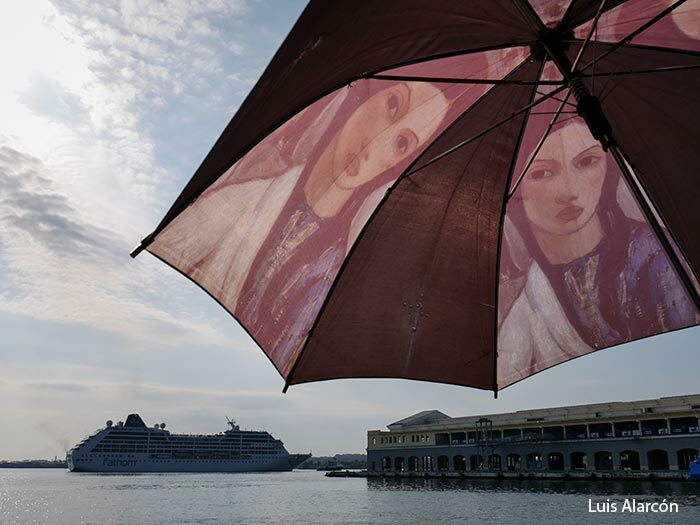 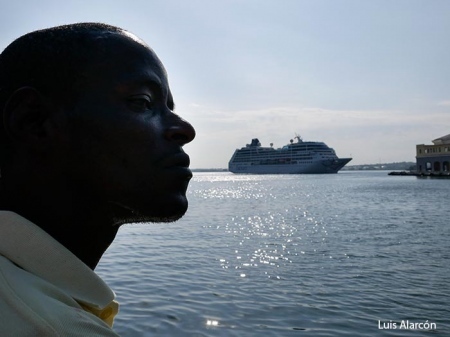 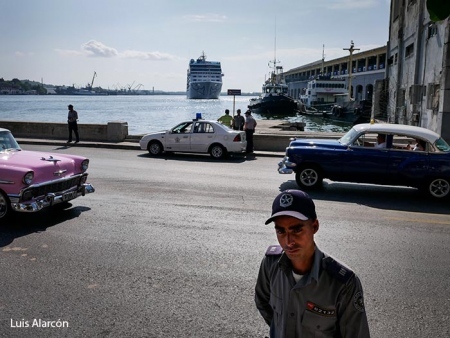 It was on May 2, at about 8:45 am I heard the ship’s horn entering the bay of Havana. 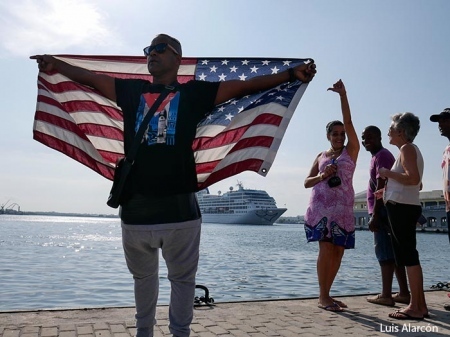 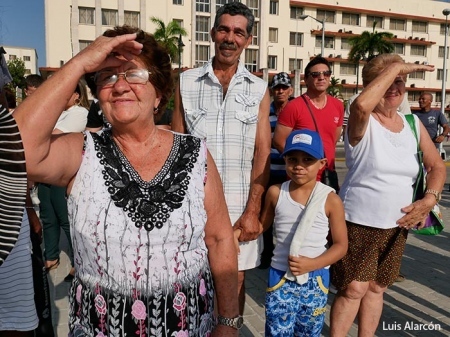 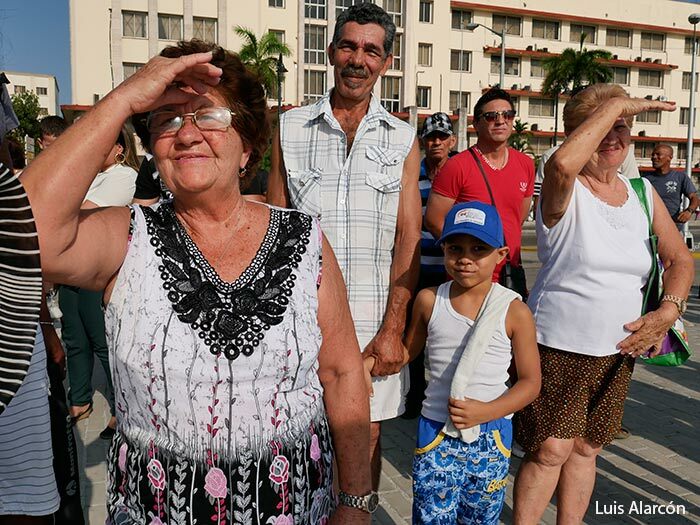 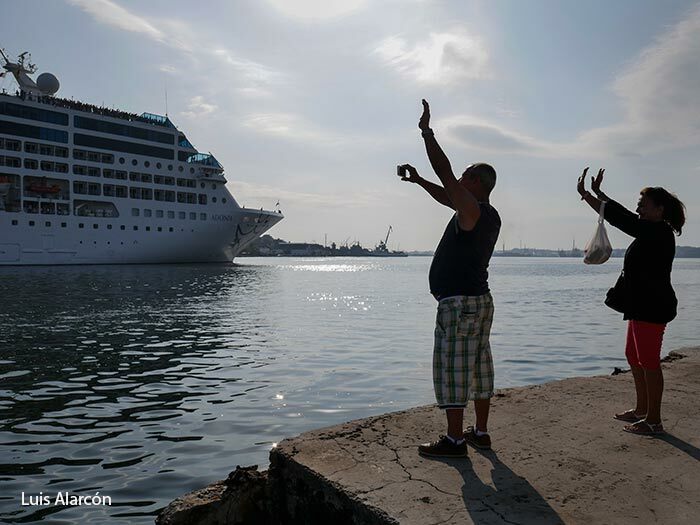 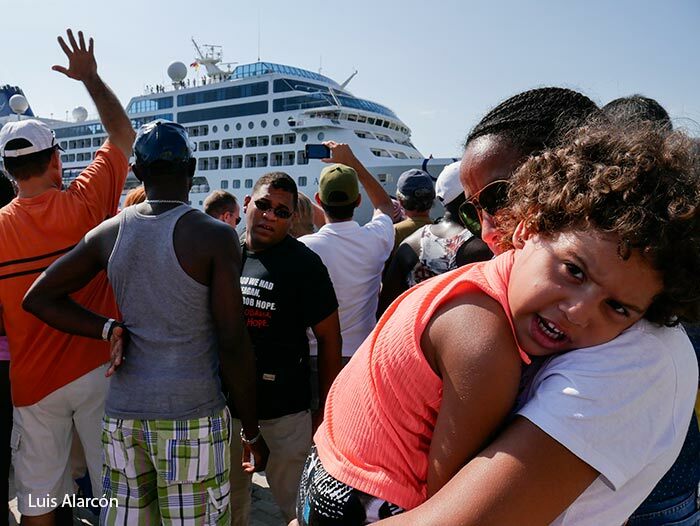 That was a historical moment, hundreds of cruise passengers on the boat deck waving to Havana and its inhabitants and hundreds of Cubans who were surprised of so much movement and so many sounds from the huge ship. 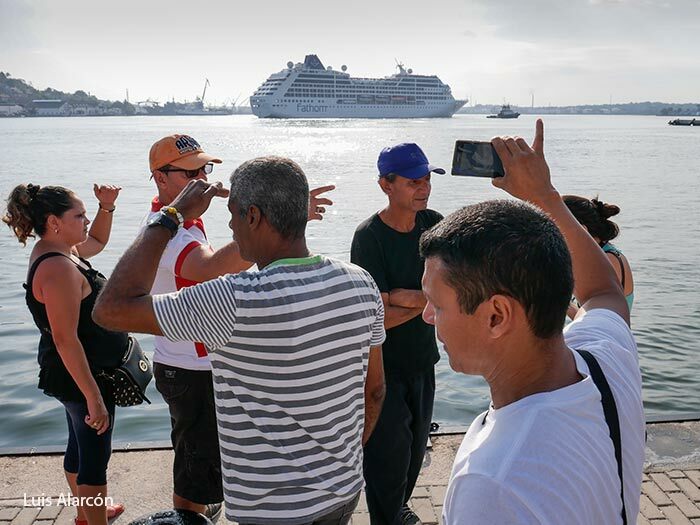 What happened in the next 4 hours was something improvised and wonderful, hundreds of Cubans were approaching to take pictures of the cruise and about 11 people began to get off the boat and into Old Havana staggered and in small groups since it is not yet allowed for American citizens to do tourism in Cuba, this type of trip is defined as a people-to-people cultural exchange. 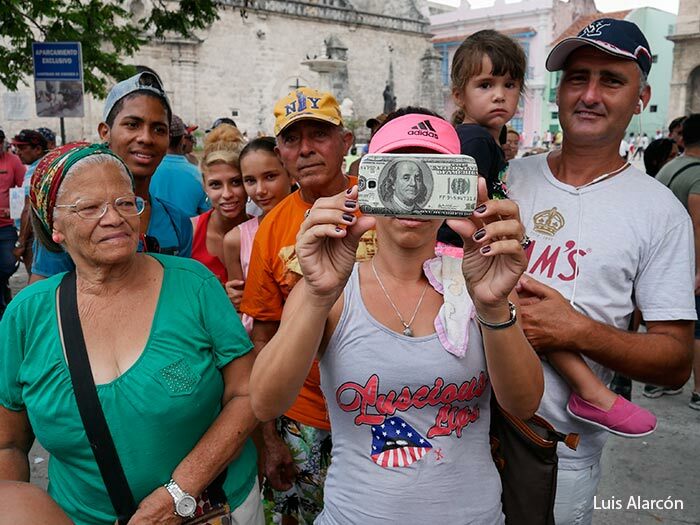 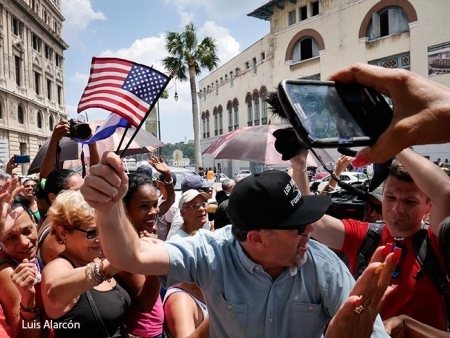 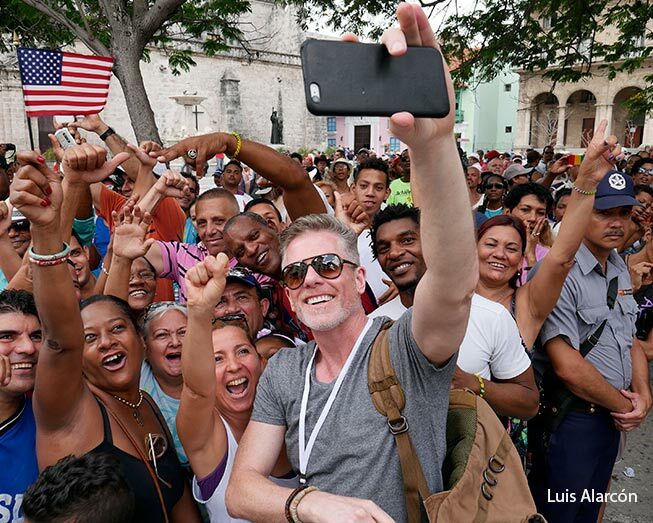 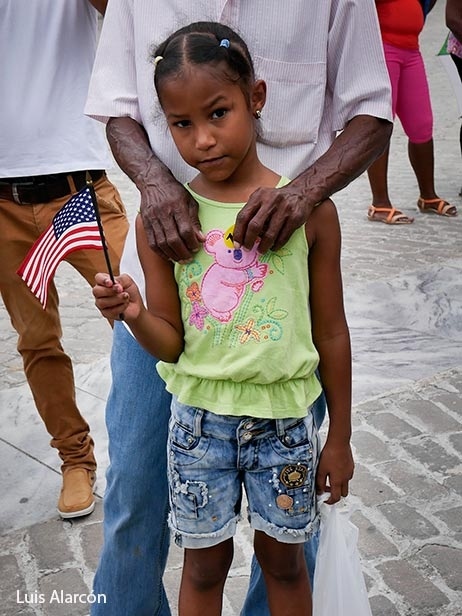 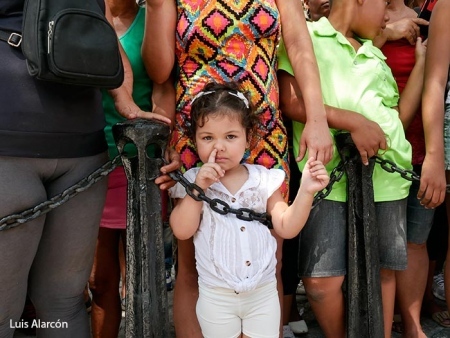 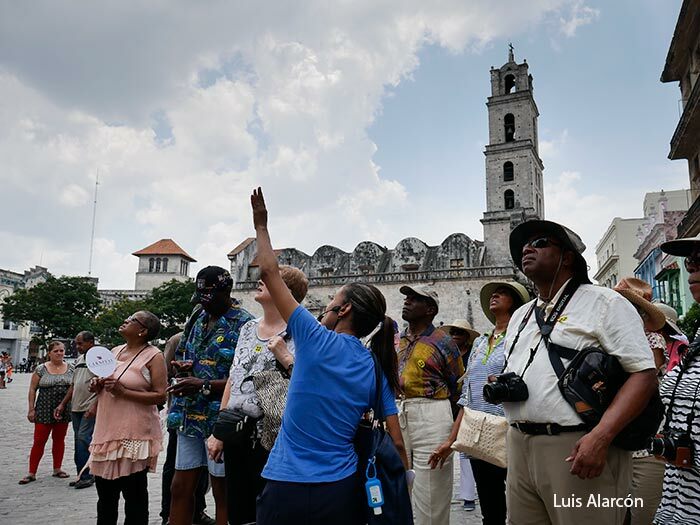 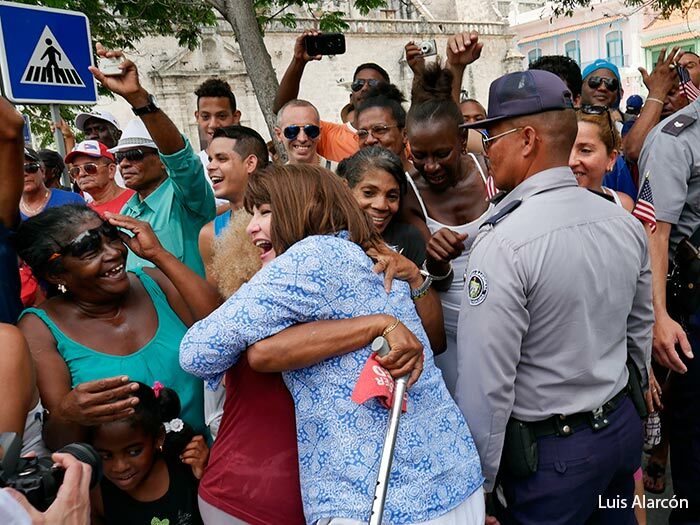 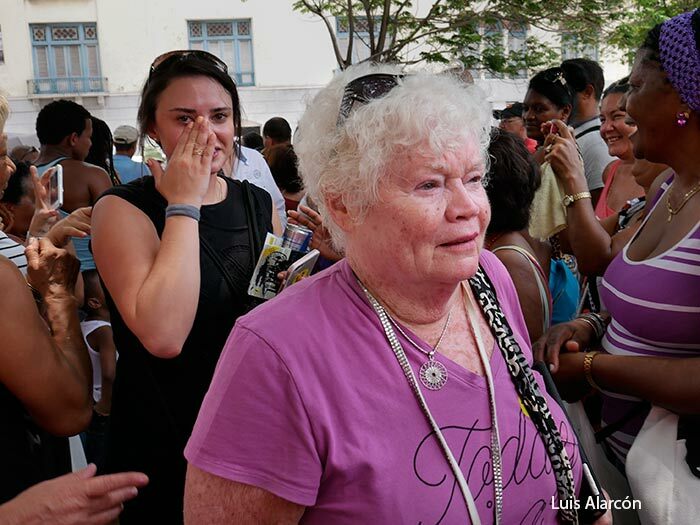 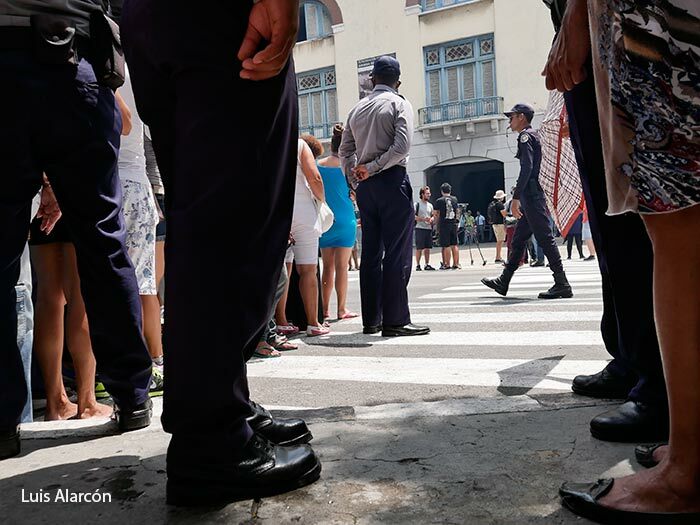 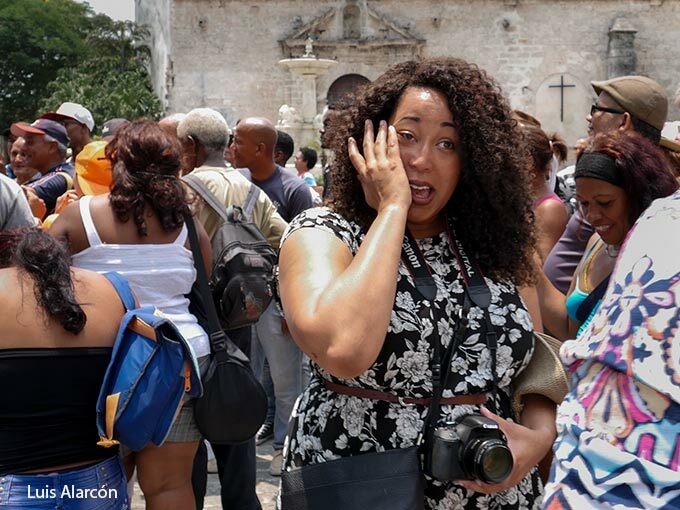 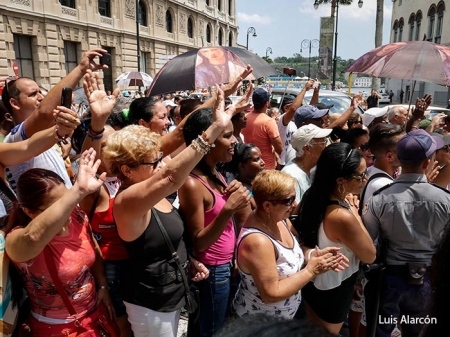 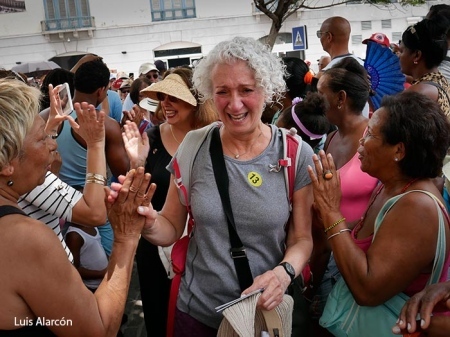 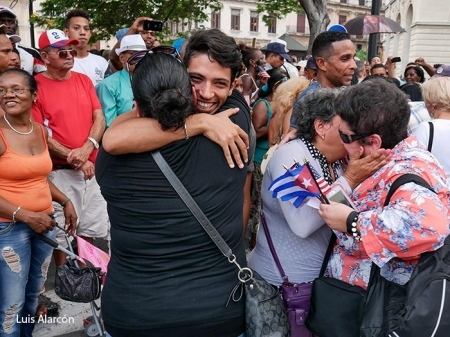 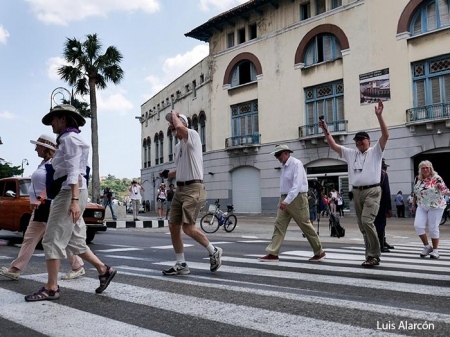 What travelers could not imagine was the reception that was organized extemporaneously nor the tears that many of them would shed when crossing the corridor that Cubans made and feel the embrace of many people.